For close to a century we’ve been instilling a love of learning for life in the children we welcome into the St Mary’s School community. St Mary’s was founded in 1926, at which time there were just 44 pupils. In the 90 years since, we’ve gone from strength to strength and despite growing to around 150 pupils, have maintained small class sizes and the welcoming, nurturing community atmosphere that has always been such an important feature of life at St Mary’s. In 2006, we became part of the Cognita Schools Group, who have continued to support us in the creation of a stimulating, exciting and nurturing school. 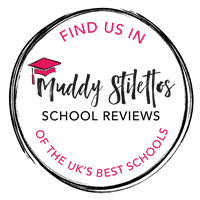 Since our inception, we have had just five headships, which is a testament to the inspiring and special learning environment that we’ve created. The ethos at the school is fundamentally a very simple one – to instil a love of learning for life in all our pupils and to provide them with a safe, inclusive and nurturing learning environment that helps them grow personally and academically. We believe that hands-on experiences are essential to complement and enhance children’s education and our teachers work hard to inspire and enthuse pupils at every stage of their learning journey. Our school values are Honesty, Independence, Collaboration, Respect and Courage. • to develop a sense of self-respect and consideration for others becoming well-balanced and healthy individuals in both body, mind and spirit in preparation for their educational journey ahead.